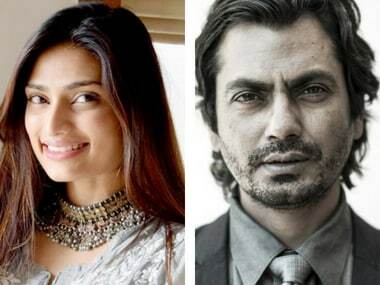 Motichoor Chaknachoor will star Nawazuddin Siddiqui and Athiya Shetty, and will mark the directorial debut of Debamitra Hassan. After playing lead roles in Hero and Mubarakaan, Athiya Shetty puts on her dancing shoes for 'Tere Naal Nachna' in Remo D'Souza-produced Nawabzaade. Last seen in critically acclaimed, Rustom with Akshay Kumar, Ileana is a part of Anees Bazmee's directorial Mubarakan (releasing on 28th July) which has Arjun Kapoor in a double role, besides Anil Kapoor and Athiya Shetty. The makers of Mubarakan have released a new poster of the film in the run up to its release. This poster gives us a glimpse of the whole cast.